Your accountant calls you and suggests that you classify all of your company’s postage expenses, to more accurately track spending. Sound like a lot of extra work? Not with Stamps.com’s Cost Codes! Cost Codes (also known as “Reference Codes” or “Reason Codes”) are a Stamps.com feature that enable you to assign a category to each item that you mail or ship. If you do mass mailings, you can assign a cost code to all the items in your mailing with one click. How can Cost Codes work for you? As an attorney or accountant or other professional that uses regular client mailings, you could assign a Cost Code to each client to easily charge for mailings related to them. You can assign cost codes to individual departments, projects or even employees to better track postage usage for budget purposes. If you own a mail-order business, you can assign one cost code for your shipping to customers, and another one for correspondence to vendors and suppliers. For advertising purposes, you can generate different unique cost codes for separate direct-mail campaigns to calculate the return on investment of each campaign individually. Automatically receive monthly reports: If you use more than one cost code in a given month, Stamps.com will automatically email you an end-of-month report showing the postage expenditure for each Cost Code. Set user profiles to require Cost Code use: If you are on a Stamps.com multi-user plan you can set your users’ profiles to require them to assign a Cost Code to each postage printing. 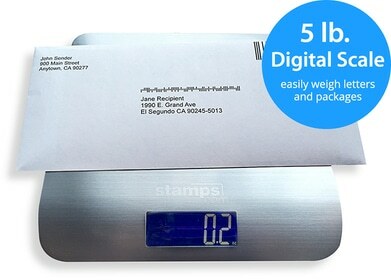 This guarantees that your customer will be billed the appropriate mailing and shipping expenses! When using cost codes from Stamps.com, it’s not merely money you’re saving; your’re also relieving the anxiety of your accounting department. If you are on a Stamps.com Pro plan, you can use up to 10 Cost Codes. If you are on a Stamps.com Premiere plan, you can use up to 50 Cost Codes.